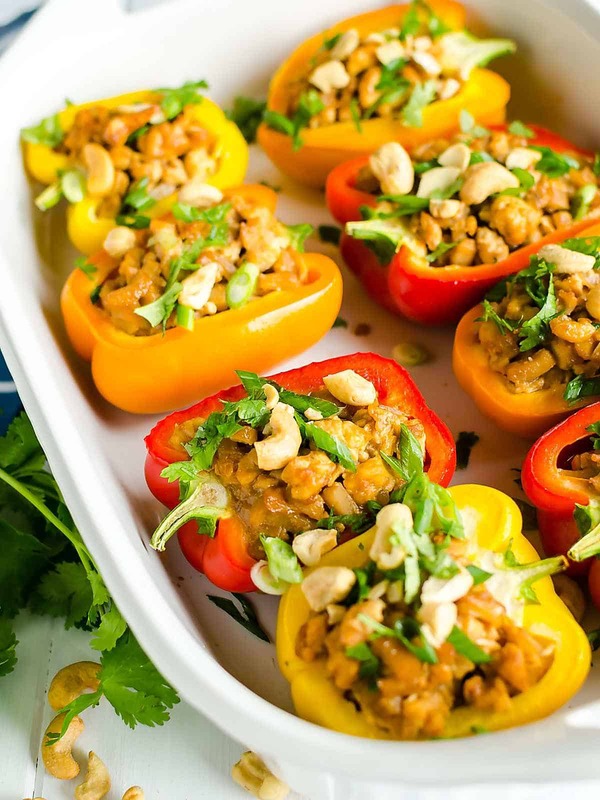 Asian Chicken Bell Peppers Recipe ~ Healthy Stuffed Peppers that are easy to eat! 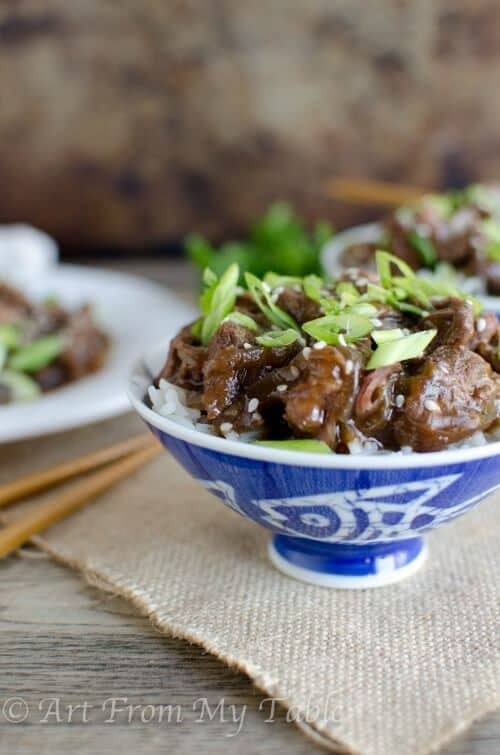 Need an easy weeknight meal? I’ve got another one for you! 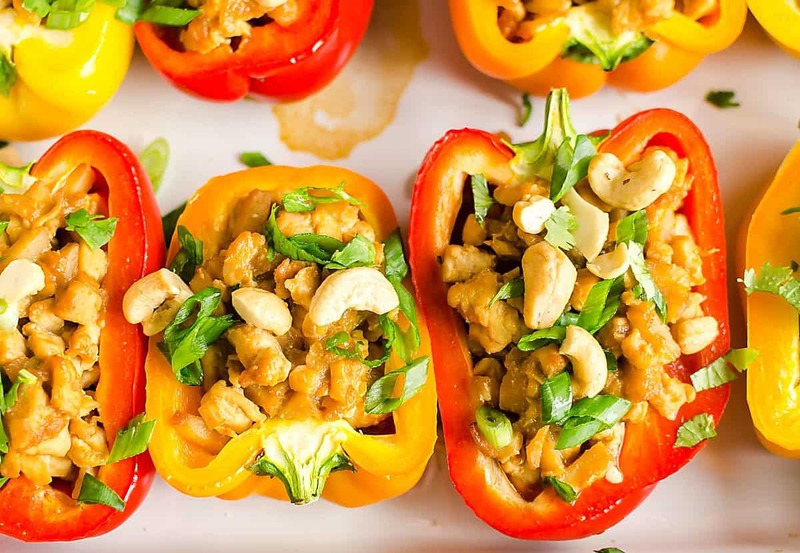 These Asian Style Chicken Bell Peppers Recipe is oh so yummy and easy to make! 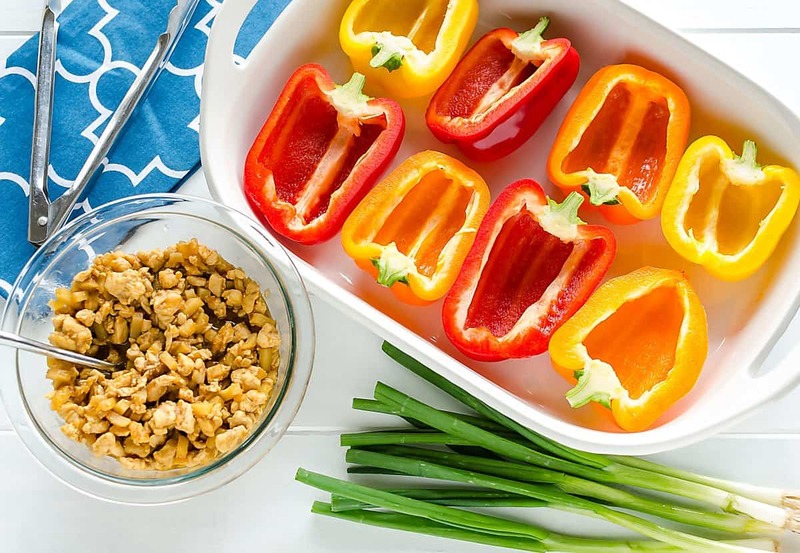 So, I’m curious, have you made stuffed peppers before? I have an awesome tip for keeping the peppers standing up. You just lay them down! Okay, does that even make sense? I’ve had trouble in the past with my peppers falling over, and, they’re kind of deep, so my kids are reaching down in there and the pepper is flopping all over the place. Cutting them in half lengthwise instead of just cutting the tops off works wonderfully! Plus they’re much easier to cut and eat. You can enjoy the pepper and the filling in the same bite! Mmmm. I think they bake up nicer too. Or, just skip the silverware and pick them up. Ha! You know that’s happened! Family dinner time is the perfect place to teach the kids some skills. Like how to cut your food. These will bake up nice and tender so you can cut them with a butter knife. Did you know that teenagers are less likely to try drugs, alcohol and smoking if they eat dinner with their families 5 times a week? My kids love to think of a question of the day. It’s usually something silly, but we all answer. It’s fun to see what answers they come up with, and we’ve definitely found some comedy relief! Who doesn’t need more laughter in their life? 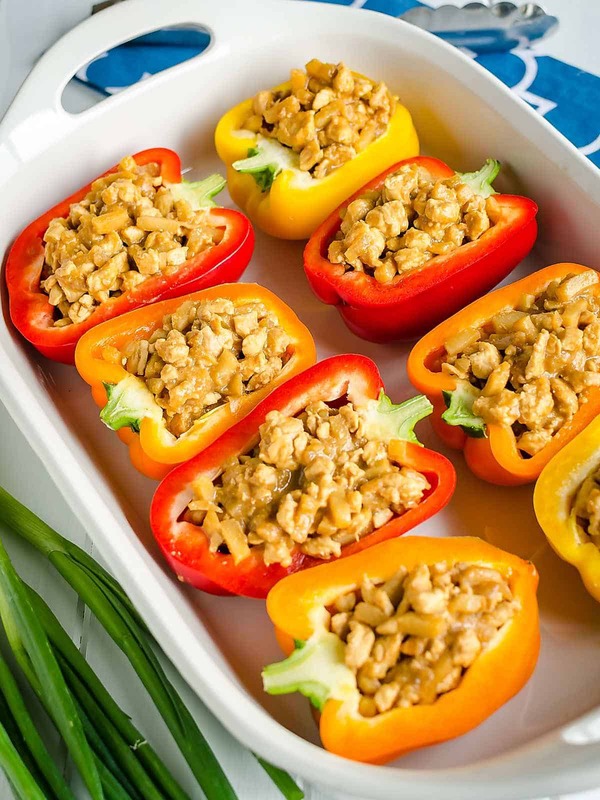 Go make this chicken bell pepper recipe and some laughter! Tender chunks of chicken in a mildly sweet peanut sauce topped with cashews and green onions and cilantro. Add onion and saute’ until tender, 3-5 minutes. Add chicken and cook until cooked through. Add water chestnuts, garlic, ginger, soy sauce, vinegar, honey, peanut butter and hoisin sauce, stir until combined, simmer for 5-10 minutes. Remove from heat and spoon chicken into pepper halves. 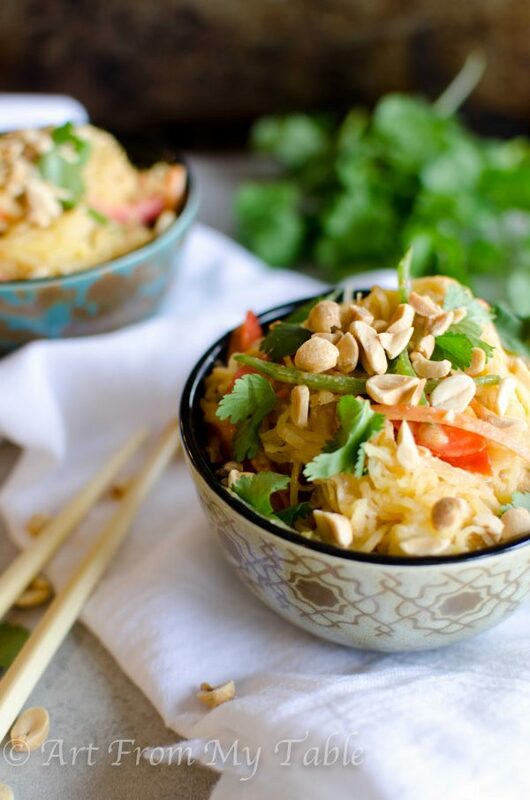 Garnish with green onions, cashews and cilantro. Have you checked out my Easy Dinner Recipes board on Pinterest? Lots of inspiration there! For more recipe inspiration, follow me on Pinterest and Facebook! I love an easy weeknight meal!! This looks fantastic!!! Hi!! I am making the Asian Peppers now! I figured I would add the peanut butter with the other sauce ingredients as it is not in the instructions. Looks delicious. Such a simple and wholesome meal!